Crystal Goblets - fine quality lead crystal panel goblets. Ideal for engraving as achievement awards or corporate gifts. Optional deluxe presentation box available. A traditional, elegant lead crystal panel goblet featuring a long, plain stem. 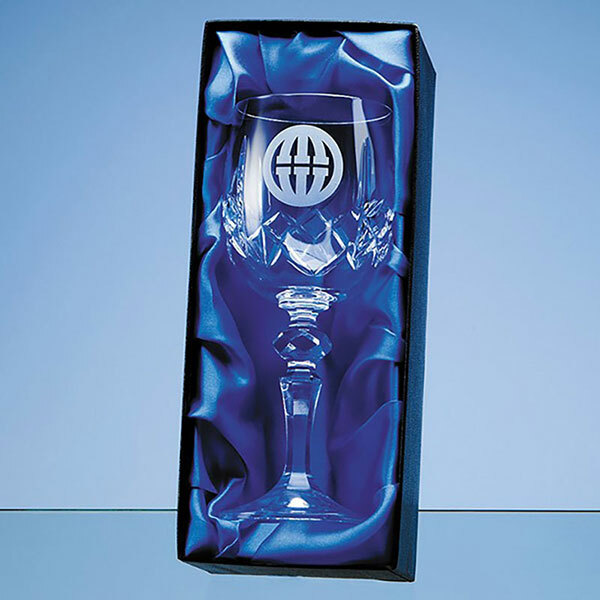 These 24% lead crystal goblets offer outstanding value as corporate gifts or for achievement awards. 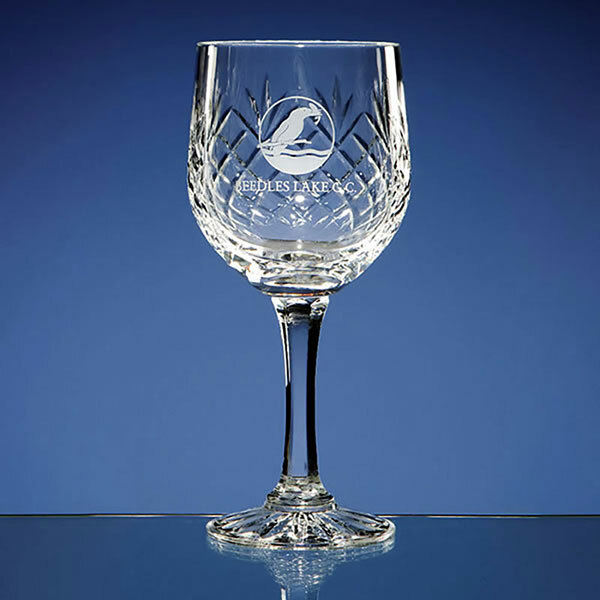 And with fixed, low-cost text engraving and free logo engraving from Crystal Awards Supplier, you can customise your lead crystal goblets to create unique personalised gifts or awards. The engraveable area of these crystal goblets is 45mm x 45mm. Weight: 0.27kg. Height: 178mm. Diameter: 75mm. Awesome service. Would definitely use again.